Lost your Hyundai car keys? Have you lost your Hyundai keys or locked them inside your vehicle? Or maybe you just need a spare key? We can replace all makes of lost Hyundai car keys, including Getz, I35, I40 & IX20 models. If your Hyundai keys are stolen, Lock changes or re-coding of existing locks are also services we provide at the roadside. What’s more, by coming to you we save you the additional cost of towing your vehicle to a garage or dealership. At KG Key Services we can supply spare keys for all Hyundai models. Have you lost your VW Car Keys? We can help. Have you lost your VW Car Keys? or locked them inside your vehicle? Or maybe you just need a spare key? We can replace all models of lost Volkswagon car keys, including Beetle, Golf, Polo & Passat models. Many Volkswagon cars will often self-lock after a minute or so as a security measure. Using non-destructive techniques we can gain entry to your vehicle and get you up and running again quickly and we’re cheaper than a replacement window! If your Volkswagon car keys are stolen, lock changes or re-coding of existing locks are also services we provide. What’s more, by coming to you we save you the additional cost of towing your vehicle to a garage or dealership. Call us now for a quote. At KG Key Services we can supply spare keys for all Volkswagon models. http://www.kgkeyservices.co.uk/wp-content/uploads/2016/11/kgkey.png 0 0 Liz ... http://www.kgkeyservices.co.uk/wp-content/uploads/2016/11/kgkey.png Liz ...2016-10-04 20:52:382017-03-10 05:42:26Have you lost your VW Car Keys? We can help. K G Key Services offer a service that few in the United Kingdom can do! 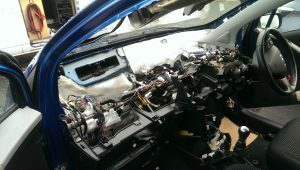 When you have lost all the car keys for your Toyota, you may find that dealerships will only be able to offer to supply and fit a brand new Electronic Control Unit with new keys which can be outrageously expensive. We are able to cut new Toyota car keys from your existing locks and program them into the immobiliser at a fraction of the price. Although this procedure does take a little time, we usually have the whole procedure completed within a few days, sometimes even the same day. We can also come out to wherever your car and cut & program a spare car key for your car, usually on the same day as you call.